256 pages, XL book, 29,5 x 37 cm (11.6 x 14.6 inches), 2.5 kg, Hardcover, dark blue painted fore-edge. Printed and hand-bound by Sébastien Girard in his studio. Tom is American. He lives by himself. TV keeps him busy. In 1978, he buys a polaroid camera and spends 4 years photographing the women who inhabit his TV screen. Moreover, he carefully writes on each print a caption and the date. 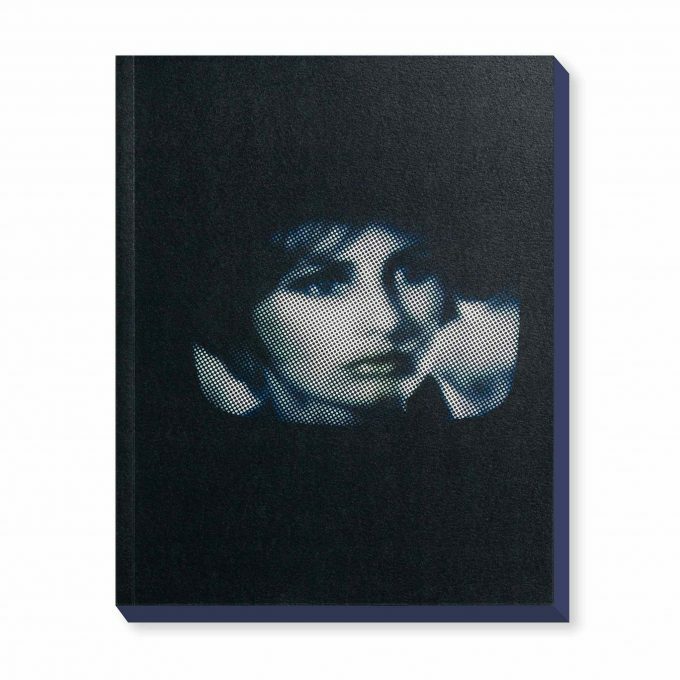 Over 4 years, Tom assembles an extraordinary diary, a silver harem of a thousand annotated polaroids arranged in albums, all titled My Tv girls. Following the disappearance of its author, this lot was put up for sale on auctions together with other belongings. Simultaneously interested by this story of appropriation and fascinated by Tom’s visual diary, I decide to buy this archive.